We will occasionally post things for sale on this page. They might be extras, goofups of some sort, scratch and dent, built with extra materials, etc. If found on this page they will be offered first come first served at a discounted price. 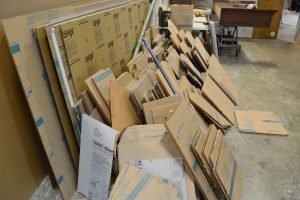 Available: 37"x13"x35" rectangle with front bumpout. This is a neat tank that would be best for building into a wall. The overall dimensions of the main body are above. 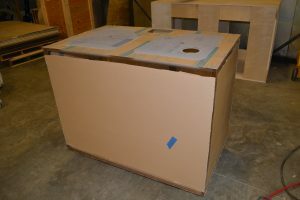 The dimensions of the front bumpout are 33"x28" and it sticks out an additional 2". 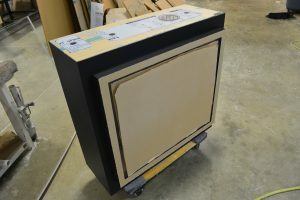 The window has a black acrylic frame bonded onto it around the perimeter. 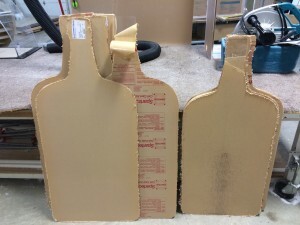 The tank has an overflow in the back left corner and can be drilled to your specifications. Back and sides are painted black. Has recessed polycarbonate lid set. 1" thick body. These tanks are neat as they appear bigger when looking in through the window. This was a $1950 tank. Sale price $975. 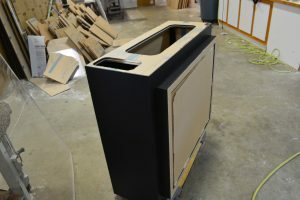 Available: 220 gallon rectangle. 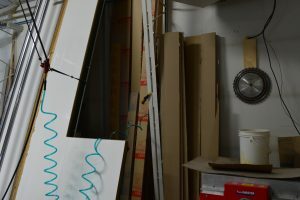 Dimensions are 48"x30"x36" tall. Has overflow centered on the back wall. 1" thick body with 3/4" top and bottom. Can be drilled to buyer's specs. Can also paint back if necessary. Also has recessed polycarbonate lids. This tank had the overflow bonded onto the wrong wall which is why it is available. Brand new.$2200. 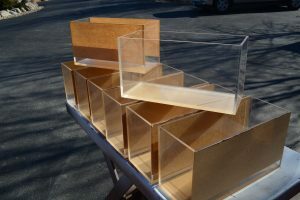 Available: 30 gallon rectangle with cabinetry and filter. 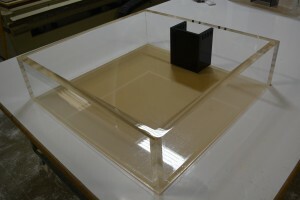 Dimensions of the tank itself are 22"x16"x22". Overall height with cabinetry is 63". Tank has overflow centered on the back. High quality cherry cabinetry set, finished. 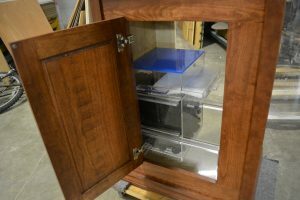 The cabinet has a custom trickle already built and in it. Built from spare materials, $1000. Available: Rimless frag tank. Dimensions are 30"x30".8" tall. 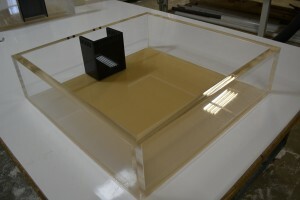 The body is built from 1.25" thick acrylic. Museum quality vertical seams. Has overflow, which can be drilled to your specs. Polished up nice. Built from spare materials, $400. Available: Small open top boxes. These could be used for a wide variety of things. Dimensions are 14.25"x5.75"x7.5"tall. I have 12 left. Originally ordered by a customer in the wrong dimensions. They all have museum quality vertical seams and are very nice. 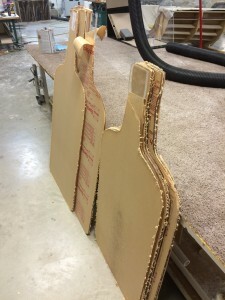 1/4" thick materials. Brand new. $45/ea. or the whole lot for $500. Available: 3/8" thick acrylic whiskey bottles. These are job leftovers. They are in the shape of Maker's Mark whiskey bottles. 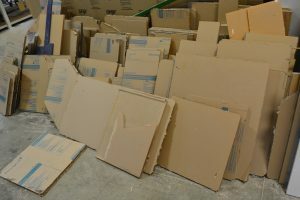 We could cut them up and use the material, but somebody could probably make better use of them somehow as-is. 3/8" thick material. There are 6 bigger ones and 6 smaller ones. The bigger ones are approx. 54" tall x 24.5" wide. The smaller ones are approx. 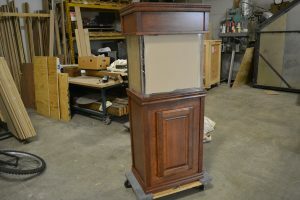 49" tall x 22.25" wide. They are a bit old so the paper wont peel off easily, but we can tell you how to make the job pretty easy if you can use them. CNC cut, nice smooth edges. $400 for all 12. Available: Powdercoated steel frame. 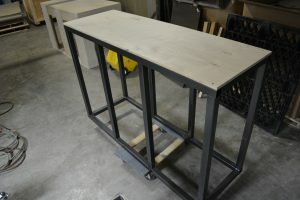 This frame has a footprint of 72"x24.5" and is 48" tall. 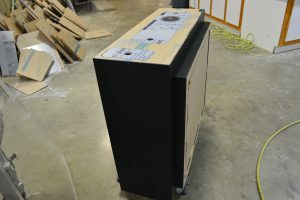 It is powdercoated and has the plywood on top. $600. Acrylic Drops/Scrap. 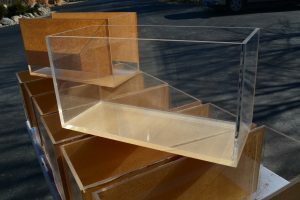 We have a seemingly endless supply of acrylic cutoffs that are too small for our typical aquariums, and not enough time to put together products made from them. If you are looking for some acrylic and don't need full sheets, then we can likely sell you some of our drops for less than you will be able to buy it for anywhere else. 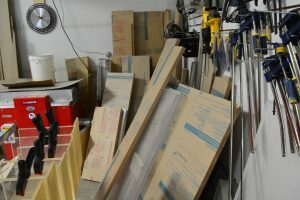 Most material is 3/4" to 2" thick, and in a variety of sizes. 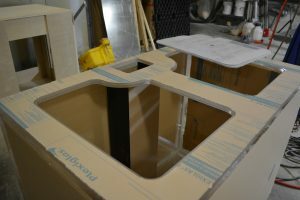 All is new, quality cell cast material, and paper masked. Priced per sq. ft. or by the lb. and great for a wide variety of uses. Call with what you are looking for.